Listen Ask a bookseller: Blue Marble Books in Fort Thomas, Ky.
Every week, The Thread checks in with booksellers around the country about their favorite books of the moment. This week, we spoke with Dave Richardson at Blue Marble Books in Fort Thomas, Ky. Bookseller Dave Richardson recommends a new young adult novel about a young girl's adventures on the road with her father, and the whole cast of quirky characters they pick up along the way. The book is Dan Gemeinhart's "The Remarkable Journey of Coyote Sunrise." 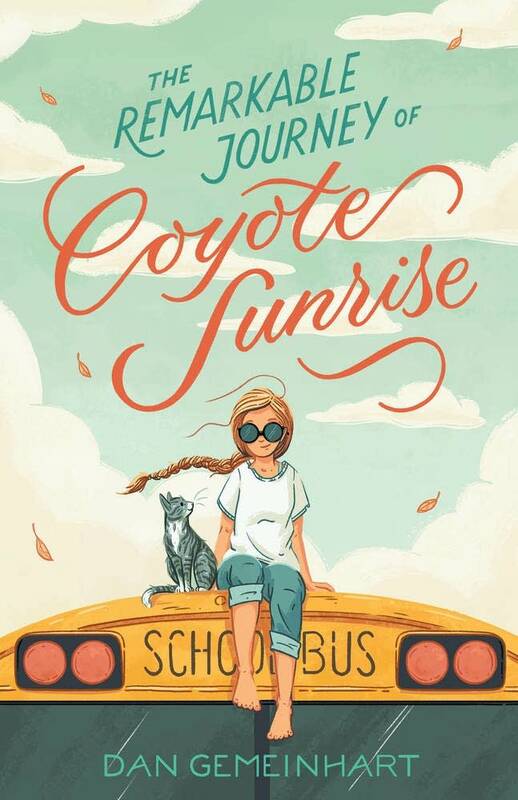 "Coyote Sunrise and her father are traveling around the country in a converted school bus," Richardson said. "In reality, they're running away from the grief of losing her mother and two sisters in a car accident. Coyote finds out from her grandmother that she needs to come back home, but her father has refused to do that." "So she has to come up with a plan, and part of that includes picking up several passengers: a cat named Ivan, who is probably one of the coolest cats you'll ever read about; Lester, who is trying to get to a lost love; Salvador and his mother, who are running away from an abusive man; Valerie, a young lady who has been picked out of her house because her parents found out she was gay; and then there's this very, very spunky goat named Gladys." But beware: This book is going to go straight to your heart. "There are plenty of issues and serious scenes, and I really would suggest you have tissues ready by the end," Richardson said. "But there's also some laugh-out-loud humor and a great police chase. And really, it's a book about dealing with loss and finding closure and choosing your future." "A sophisticated fourth grader could read it, all the way up through eighth, ninth grade. And if they like realistic fiction, they're going to love this."